For the first month, or until symptoms disappear, we recommend 4 caplets a day – 2 with a meal in the morning and 2 at a subsequent meal. Thereafter the dosage may be reduced to 2 caplets a day. There are 60 caplets in a bottle. Curcumin is the active ingredient in turmeric, best known as the spice that gives the distinctive flavour and yellow colour to curry powder. Turmeric is a member of the ginger family and has long been used for healing. Curcuminoids are powerful anti-inflammatory compounds, which makes them ideal for relieving the inflammation in wrist and hand joints associated with arthritis. In India, curcumin is considered a standard anti-inflammatory medication. Almost 70 countries now approve glucosamine as a treatment for individuals with mild to moderately severe osteoarthritis. Glucosamine is a natural substance found in and around the cells of cartilage. It is an amino sugar produced in the body and found in small amounts in foods. It plays an important role in maintaining and regenerating cartilage, the gel-like material that cushions joints. 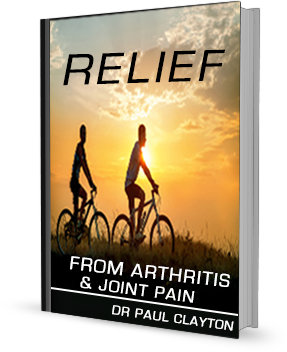 Several studies* have now provided substantial evidence that arthritis sufferers experience improved mobility after taking glucosamine. These studies suggest that glucosamine may be as effective in easing arthritic pain and inflammation as the NSAIDs (non-steroidal anti-inflammatory drugs) typically recommended for osteoarthritis. Unlike the NSAIDs, they do not irritate the stomach. We have used Glucosamine Hydrochloride rather than Glucosamine Sulphate as the sulphate form can create adverse gastric reactions. And ours is a vegetarian-source. The daily level in Uni-Vite JointShield has been determined through reference to several positive clinical trials. 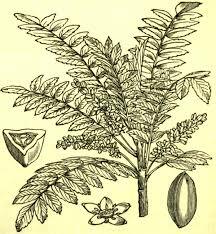 The subject of intense recent research, this plant has been used for centuries for arthritis and other inflammatory conditions. It has been shown to inhibit a pro-inflammatory enzyme called 5-lipoxygenase and can bring relief from swelling and stiffness in as little as 7 days. promoting calcium absorption, vitamin D helps to form and maintain strong bones. Vitamin D also works in concert with a number of other vitamins, minerals and hormones to promote bone mineralization. Research also suggests that vitamin D may help maintain a healthy immune system and help regulate cell growth. Vitamin K contributes to the maintenance and regeneration of normal bones and to normal blood clotting. K2 is the more expensive and most highly effective form. Lecithin and piperine (black pepper extract) have been shown to increase the bio-availability of curcumin.